One year ago, survivors of the horrific school shooting in Parkland, Florida, bravely stood before the nation and demanded action to address America’s gun violence crisis. But as these students demanded laws that would protect them, the gun lobby did everything in their power to propagate dangerous myths about school shootings. These myths were reinforced in a December 2018 report on school safety released by the Trump administration. The Trump administration’s report glosses over gun safety laws, ignores the impact of gun violence on young people, and instead proposes a number of policies that would actually put students in greater danger. To combat these dangerous myths and arm the public with the facts, Giffords Law Center released a new report—The Truth about School Shootings. In this report, we debunk prominent gun lobby myths, and set the record straight by describing the gun safety laws and policies that will make our country safer and better protect our children. 1. Myth: School shootings are just a fact of life. 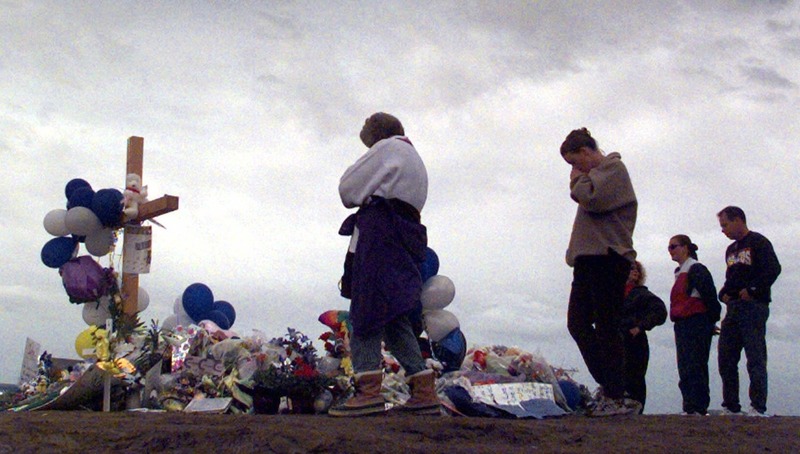 Truth: We can never accept school shootings as the new normal—and we don’t have to. If it feels like school shootings are becoming more common, it’s because they are. In 2018—a year in which we experienced two of the deadliest school shootings in recent history—there were more incidents of gun violence and more gun deaths at schools than any other year on record. In no other developed nation do students face these unprecedented levels of gun violence in their schools. Our students deserve a country where school shootings don’t feel inevitable. We must take immediate action to protect our kids by passing the gun safety laws proven to safe lives. 2. Myth: Nothing can be done to prevent school shootings. Truth: With the right laws, we can prevent school shootings. For years, the gun lobby has tried to tell us that the only way to prevent school shootings is by bringing more guns into schools. But we’ve done our research. We know that evidence-based gun safety laws help mitigate the risk factors common to many school shootings. Child access prevention laws can help ensure that students don’t gain access to unsecured guns in the home—which are a major source of guns used in school shootings. And policies like extreme risk protection orders and minimum age laws also help keep guns out of the hands of at-risk individuals. Gun safety laws can prevent shootings and save lives—but only if our leaders have the courage to enact them. 3. Myth: Schools need armed teachers to respond to school shootings. Truth: Arming teachers will make schools more dangerous, not less. In a December 2018 report, Trump administration officials recommended that schools consider arming teachers to protect students from school shootings. Our take? Depending on teachers to win a gunfight is not a public safety plan. Decades of public health research suggest that armed teachers would likely increase, rather than decrease, students’ exposure to gun violence in schools. Guns in schools are often mishandled—increasing both youth access to firearms and their exposure to gun violence. And polling data indicates that the groups most affected by this proposed policy think this is a bad idea: students, parents, teachers, and law enforcement officers all oppose arming teachers. 4. Myth: School shootings are largely caused by mental health issues. Truth: School shootings are causing a mental health crisis. The NRA has often claimed that school shootings are a “failure of America’s mental health system” and pointed to mental illness as the cause of violence. These assertions can unduly stigmatize people with mental illness and are not supported by academic research. In fact, this rhetoric both distracts from the real problem—easy access to guns—and ignores the mental health crises and debilitating trauma these shootings create. Children who experience school shootings and lockdowns can suffer severe anxiety and debilitating trauma, the consequences of which can persist into adulthood. The only way to prevent this trauma is to prevent school shootings with strong gun safety laws. 5. Myth: Children are most likely to experience gun violence at school. Truth: School shootings are just the tip of the iceberg. School shootings comprise only a fraction of the gun violence affecting America’s youth. Every year, three million children witness gun violence. And every day, children and teens fall victim to gun suicides, unintentional shootings, and gun homicides in their homes and communities. There are simple steps we can take to protect our kids from gun violence. Laws that disarm domestic abusers and encourage safe storage of firearms, complemented by programs that interrupt the cycle of violence in underserved communities in cities, are proven to prevent gun violence and protect our nation’s youth. It’s time to stand up to dangerous myths perpetuated by the gun lobby. In 2018, we saw the progress that is possible when legislators have the courage to stand up to the gun lobby and the myths it perpetuates. 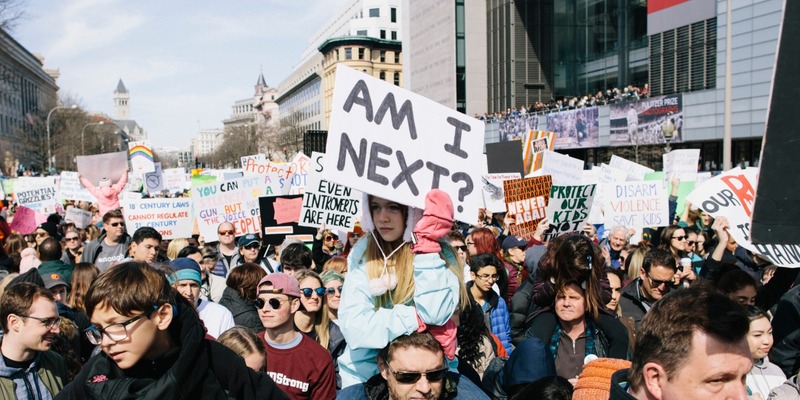 Since Parkland, 67 gun safety laws have been enacted in 26 states and DC. But we can’t stop fighting until kids across the country are safe from gun violence. We do not—and should not—have to accept school shootings as the the new normal. We can build a safer America by arming legislators with the facts instead of gun lobby talking points and urging them to pass the gun safety laws that will protect our children. Learn more about the devastating impact of school shootings, as well as the policies proven to protect children, in our report The Truth about School Shootings.